Im going to get some slip-on climbing shoes - should I downsize to make sure they stay on when climbing? 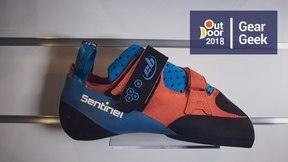 What type of rubber do Edelrid use on their climbing shoes? 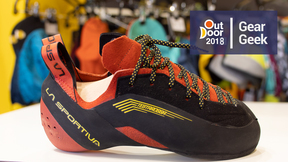 Are the 5.10 Dragons too aggressive to be considered a sport climbing shoe? Are there any companies that still make leashes for technical climbing axes? Find an accessory card in the nearest diameter of hole in the ax end, and you can customize your length with fisherman's knots.